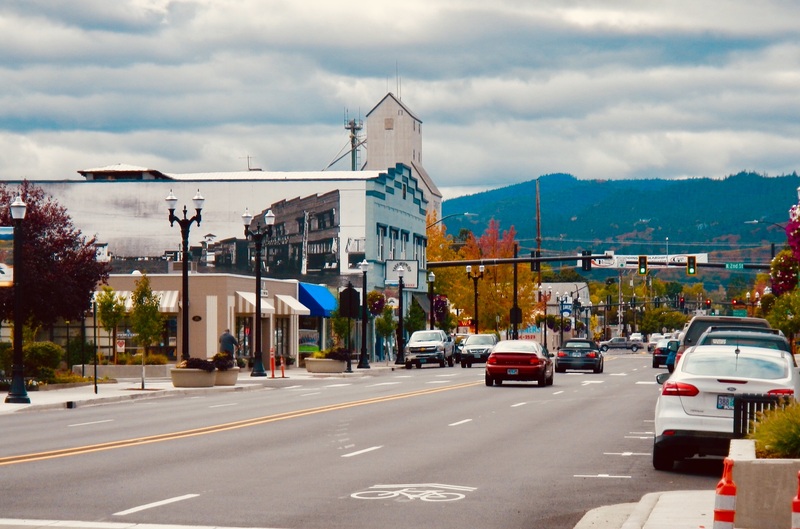 The City of Central Point selected Adkins as the lead firm to complete designs for the East Pine Street Improvements Project in the downtown core of Central Point. 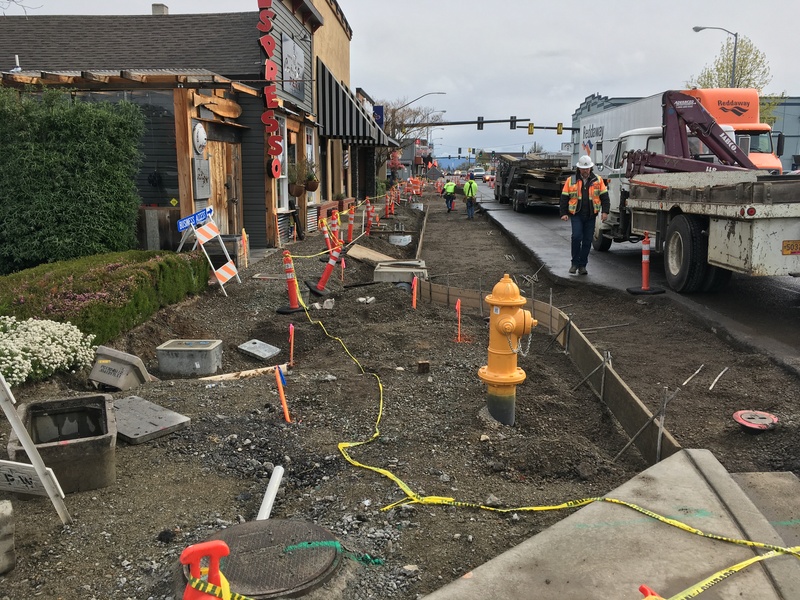 Safety improvements for the $5.1M project include bulb-outs to increase pedestrian visibility and reduce street crossing distances/times, pedestrian activated crossings, and ADA compliant sidewalk ramps. Widened sidewalks accommodate street trees and landscape features and increase buffer between pedestrians and motor vehicles; ornamental lighting provides consistent lighting patterns at night; and landscape features such as at-grade planters, planter pots, and hanging baskets create a softer, more aesthetically pleasing streetscape. 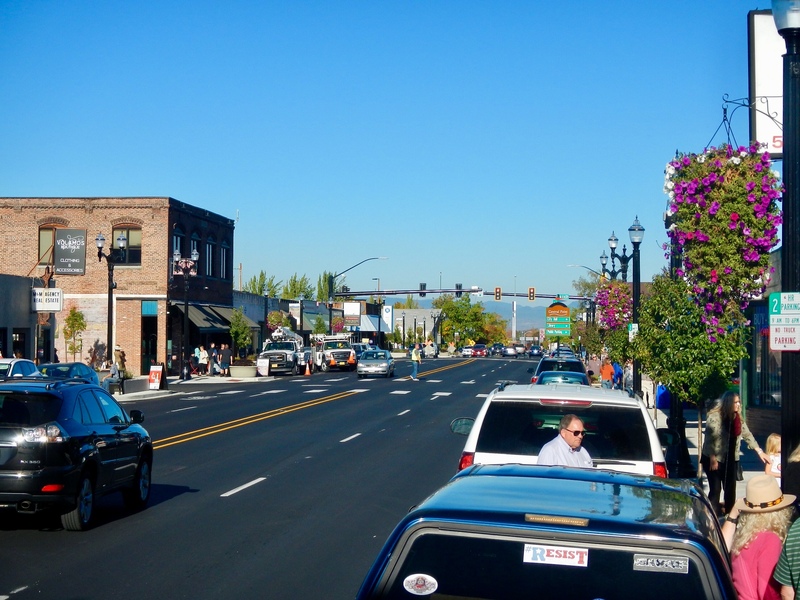 The project also included replacement of more than 3,400 feet of water main along East Pine and Front Street as well as the construction of over 2,000 feet of new storm drains. The design team, lead by Adkins, included DKS and Associates, Covey-Pardee Landscape Architects, and Neathamer Land Surveying. 01. Ribbon-cutting ceremony for downtown. 02. Sidewalk Construction near First and Pine. 03. Looking west along the completed project. An old mural of East Pine Street can be seen on the side of the Cowley Building. 04. Looking east along the completed project. 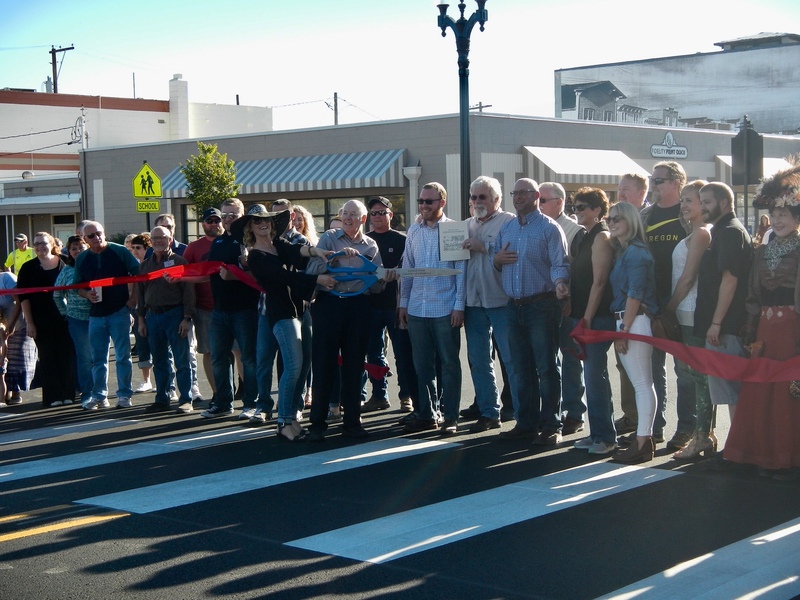 The City and downtown businesses hosted a block party for the official opening of the new downtown!